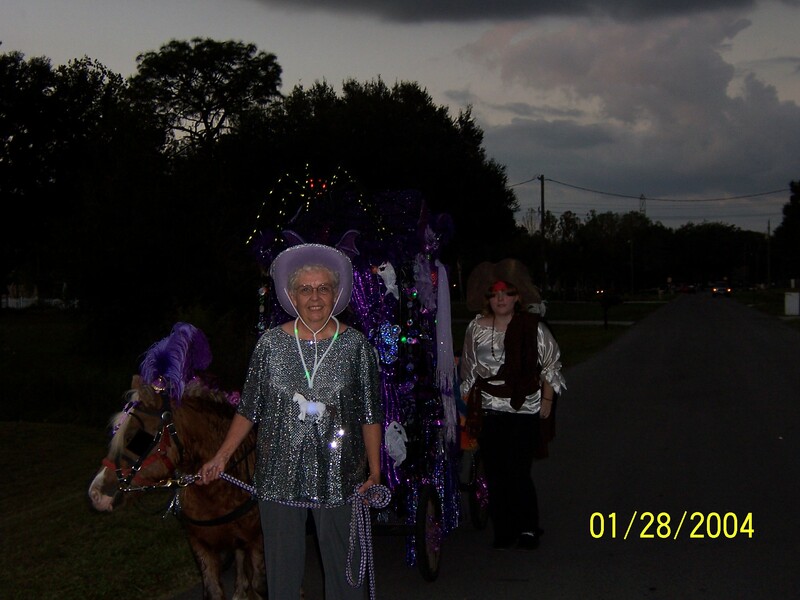 The little horse and carriage was past our house before I could take a picture. 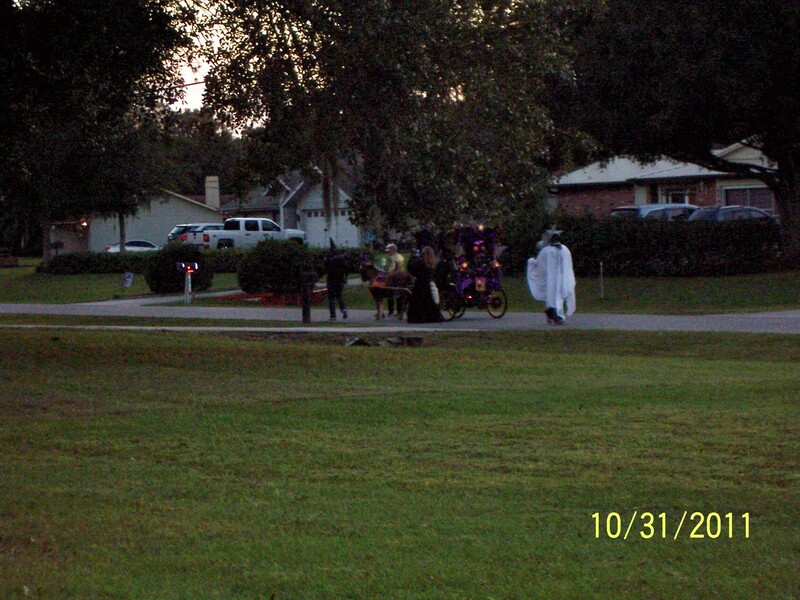 Notice the large ghost following the carriage? 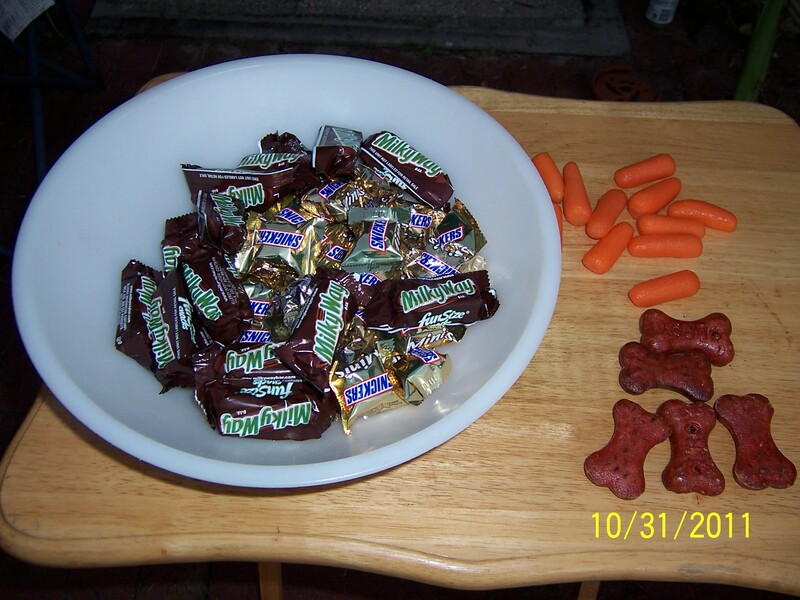 This year, the parents (or adults) costumes were better than the children’s! Since this parade didn’t return until dark, I’m including the front from a previous year. One of the dog biscuits went to Levi, Lindsay’s dog who was attacked by a coyote. I’m happy to say that he was able to dress up and go trick or treating. I returned a quilt called Moonglow today. My customer loved it. 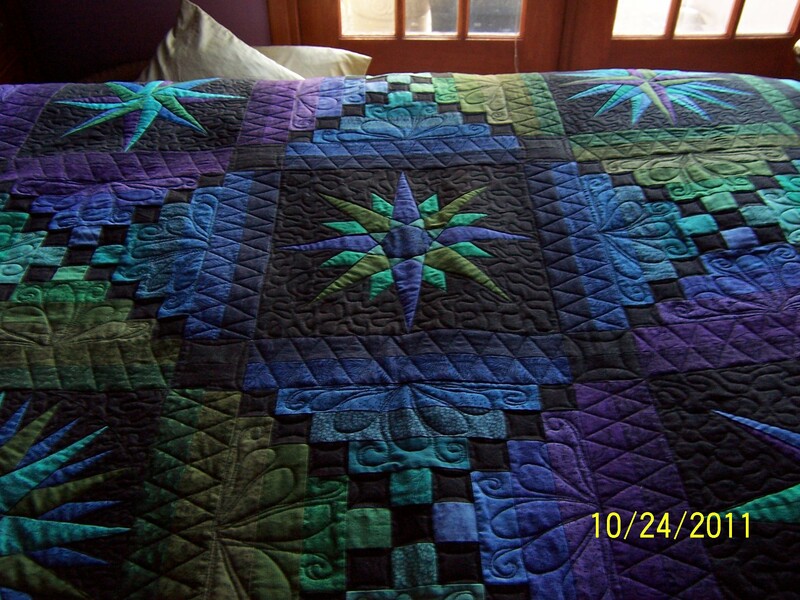 Better picture of the quilting, now I have a year to learn how to take Halloween pictures in the dark!